Gas left in old gas light pipes was the cause of the fire which began with an explosion in the old frame building. Electric Shop At 11:20 a.m. Harry Snow, employee of Sunbury Elactric Company discovered the fire in the rear of the building and turned in the alarm. The flames spread so rapidly that Snow and those in the food market barely got out of the building. A strong north wind and freezing temperatures hampered the firemen. The firewall between the building and the other rebuilt after the 1926 fire, helped firemen contain the blaze. 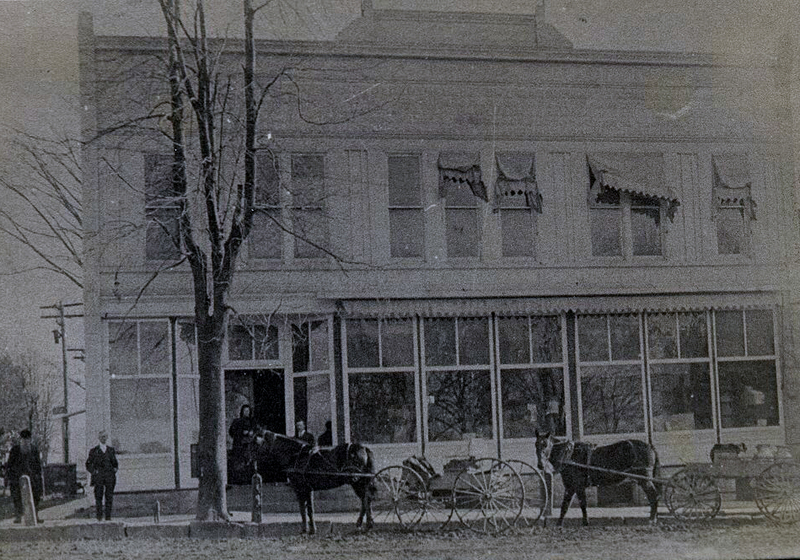 Carleton S. Burrer owned the Sunbury Electric Shop. Mr. and Mrs. Edgar Satterfield owned the food market. The building was owned by Mrs. A. C. Williams, widow of the builder and her daughter-in-law, Mrs. Edmund Williams. 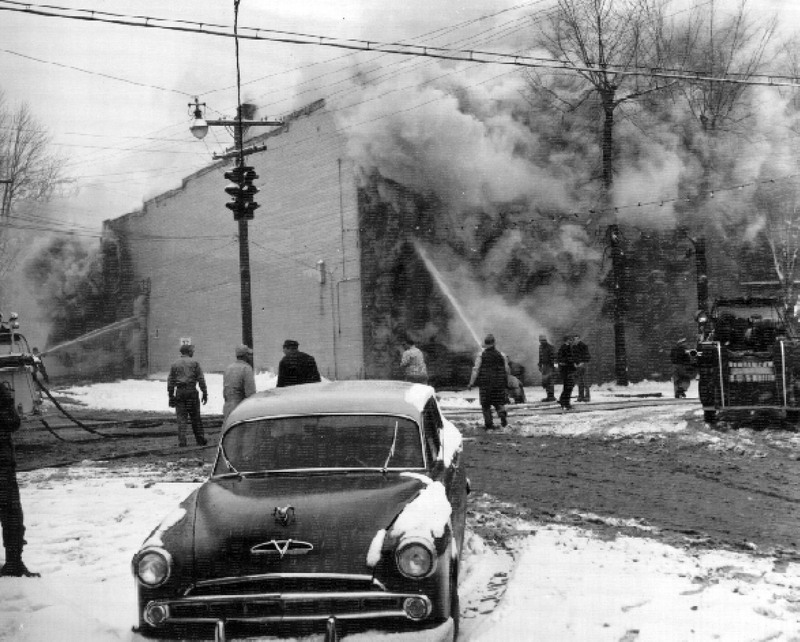 Harris, Walt Gros Carleton, a BST fireman, was returning from Columbus when he heard the siren and rushed to the fire house to discover his own store was on fire. Harry Snow grabbed two ledgers and tried to get the cash drawer but the smoke was too thick. 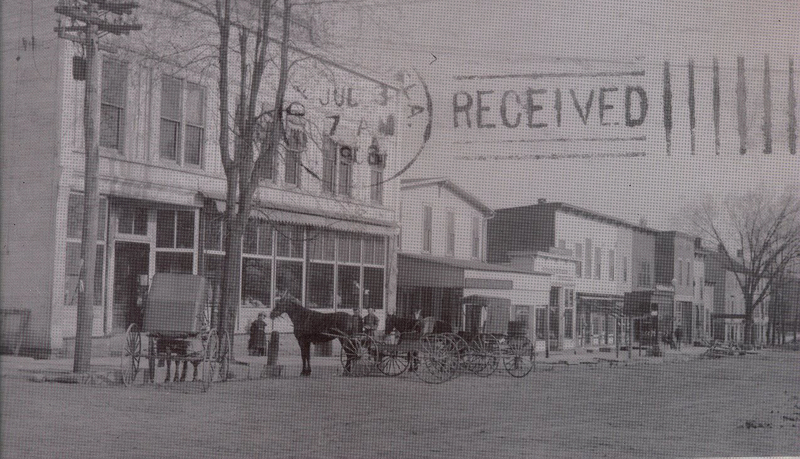 His sister, Mrs. Leta Barnhard was the store bookkeeper. Charles Robinson, an employee had just gone outside to the truck. Daisy Burrer also worked for her son, Carleton. In addition to the Berkshire, Sunbury, Trenton Fire department, Galena, Porter, Orange and 8 others departments aided in controlling the fire. Restaurant owners kept the coffee and sandwiches ready for the fire fighters. Mrs. Paul Stelzer of the Sunbury Grill said she couldn't brew it fast enough so Nestles sent her instant to use...Mrs. Maier and others from the Hub helped at the Grill. The Sunbury Diner also sent in coffee.